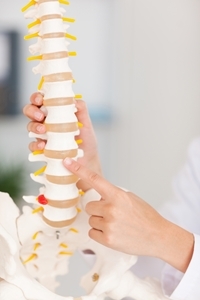 Spinal injuries are among the most dangerous injuries that a person can experience. As well as having a permanent effect on a person’s quality of life, these injuries can also significantly impact a person’s ability to maintain steady employment. The most recent figures from Spinal Cord Injuries Australia found that there were 361 of these injuries over the course of 2007-2008. Almost half of these (46 per cent) were the result of vehicle accidents, with an even split between injured motorists and unprotected road users like cyclists and pedestrians. Other major causes included falls, being struck by objects and water-related accidents. While the number of spinal injuries is relatively small compared to other types of accident, the seriousness of these injuries mean they require a certain approach. The good news is though, that those who suffer an spinal injury in Australia can seek relevant compensation. Where was the injury suffered? When you are thinking about making a claim following an accident, your opportunity to receive compensation will depend on where and how the injury happened. Drivers in Australia are required to hold third-party vehicle insurance, which provides cover if there is an injury on the roads. With so many of these accidents occurring on the country’s roads, this is a common course of action for those living with a spinal injury. Workers who experience an accident while they are at work will instead need to make a claim against their employer’s worker compensation insurance. This will often result in a Whole Injury Damages (WID) claim meaning you will receive a lump sum of money. At the same time another sort of claim can run concurrently, called a TPD Insurance claim. Total and permanent disability insurance is a compulsory part of all superannuation funds, and this policy covers you for when you suffer a spinal injury or anyother injury in which you unable to work. What sort of compensation can individuals receive? Medical expenses. Spinal injuries often require intensive medical care and rehabilitation which an insurance policy may cover. Lost earnings. If your injury has prevented you from returning to work, you may receive a lump sum for any lost wages as a result of your ongoing treatment. Future earnings. If your long-term earning potential has been damaged by an accident, this cost may also be factored into a claim for compensation. This is not an exclusive list and there are further expenses which can be claimed for following a serious spinal injury, depending on your circumstances. To learn more about compensation following a spinal injury, or to begin the process of making a claim, make sure to contact an accident lawyer. They will be able to provide personalised advice to people who have suffered an accident and also assist with the compensation process. Spinal injuries require specialised compensation. A personal injury law firm with separate lawyers dedicated to car accidents, TPD claims and workers comp claims should be your preferred option.